All Cocoplum homes currently listed for sale in Lake Worth as of 04/26/2019 are shown below. You can change the search criteria at any time by pressing the 'Change Search' button below. 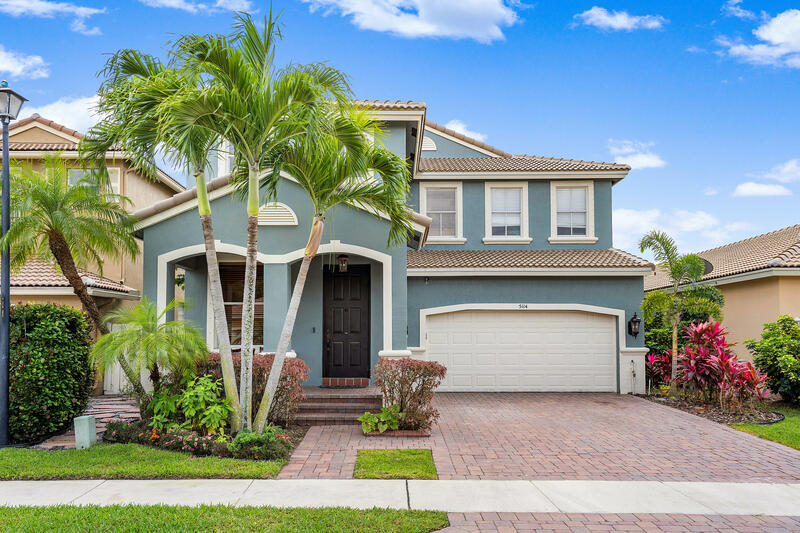 "You are going to fall in love with this stunning 5 bedroom, 3.5 bathroom, plus loft house nestled on a fantastic center lake view lot, in the highly sought after community of Cocoplum! This home boasts just under 3800 total square feet and is updated throughout! It's rare you get long lake views in the area and this homes view is sure to impress. The house has been fully updated with a NEW ROOF, tile on the diagonal throughout the living areas, hardwood floors in the bedrooms and loft, wrought iron staircase, chef's kitchen with updated high end stainless steel appliances and pull out drawers, crown molding, custom wooden coffered ceiling in the family room, recently replaced air conditioners, PLEASE CLICK ON THE SUPPLEMENT FOR THE FULL DESCRIPTION!"